BIARRITZ, France. How to escape the crowds. | Travel Blog & Co.
BIARRITZ, France. How to escape the crowds. 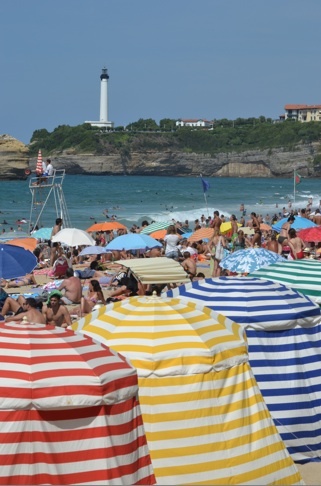 If you want to enjoy Biarritz but you can do only in August, if you hate the crowds on the beaches, then we suggest to drive to Bidart (2-3 mins by car) and find an accomodation once there. Bidart is a cosy village very quiet and located on the sea in a very charming landscape, nearby one of the most beautiful and panoramic beaches nearby Biarritz. You’ll be able to get Biarritz just by 2-3 mins driving. In Bidart, we reccomend the central Hotel Elissaldia, excellent in its position, staff and fair prices. This entry was posted in Hotels & BB and tagged basque side, biarritz, bidart, blog, community, fashion, france, hotel elissaldia, nature, people, sport, travel by costanzafabbri. Bookmark the permalink.